Colorado Breweries Win 30 GABF Medals! 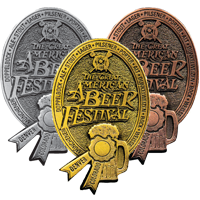 Congratulations to the 28 Colorado Breweries that brought home 30 medals from the Great American Beer Festival! Denver Beer Company won two Gold medals! 16 out of the 30 medals were Gold! See the full list of Great American Beer Festival winners here.